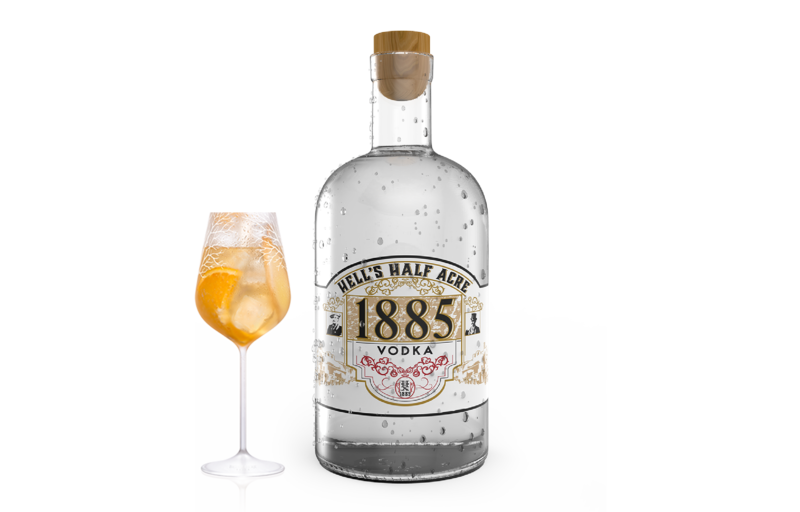 Our award-winning vodka drinks combine Hells Half Acre 1885 and organic dextrose from a unique source, the Cassava Root. Vodka recipes are especially challenging to make because the alcohol itself usually has no specific flavor or intensity. However, when the cassava root is crushed and dried into a powdery state, it creates Tapioca Starch. After saccharification, this organic tapioca starch combined with naturally occurring enzymes produces more than double the amount of fermentable sugars than in your standard corn, grain, or potato fermentation. 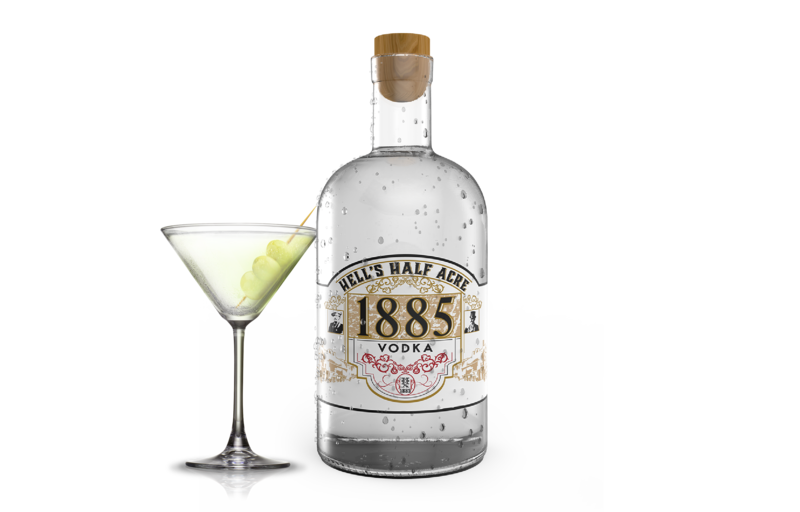 To simplify things, our vodka is naturally sweet – enhancing and layering our drinks to create a more thorough drinking experience for the vodka connoisseur. 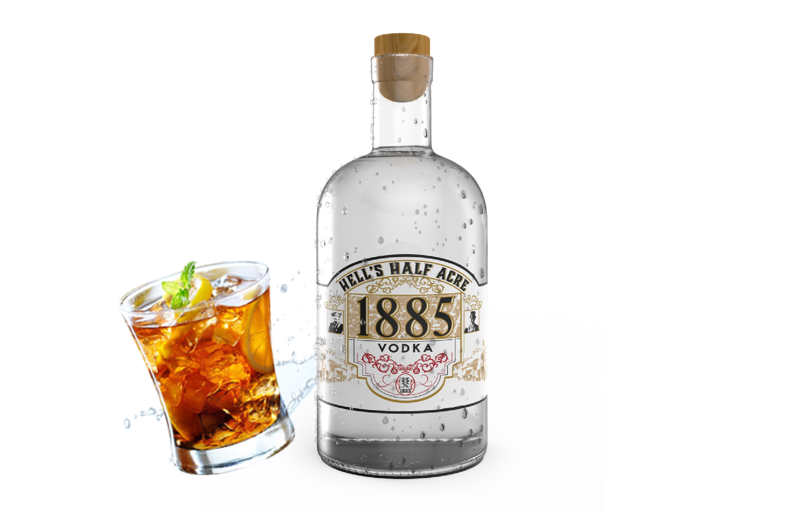 A rich harvest of starches (turned into sugars) yields a smooth & sweet, floral scented vodka that stands alone and pairs well with most mixed drink recipes. 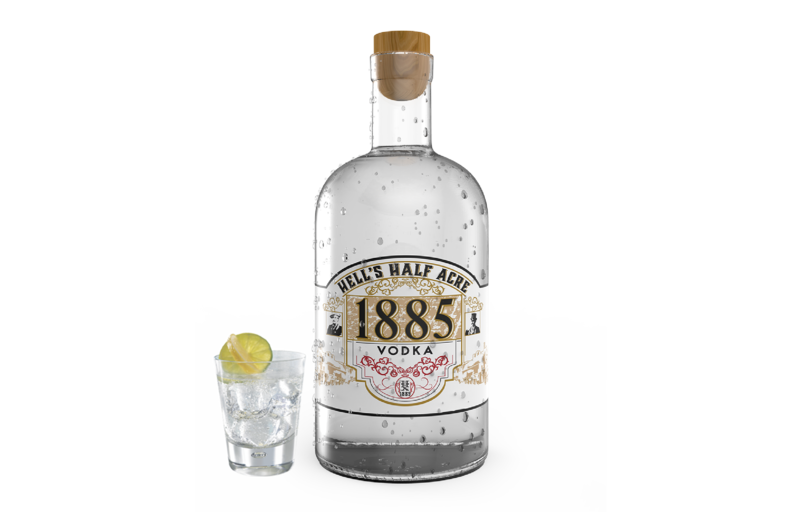 Shake Hell’s Half Acre Vodka & vermouth in a shaker. Strain & garnish with olives! 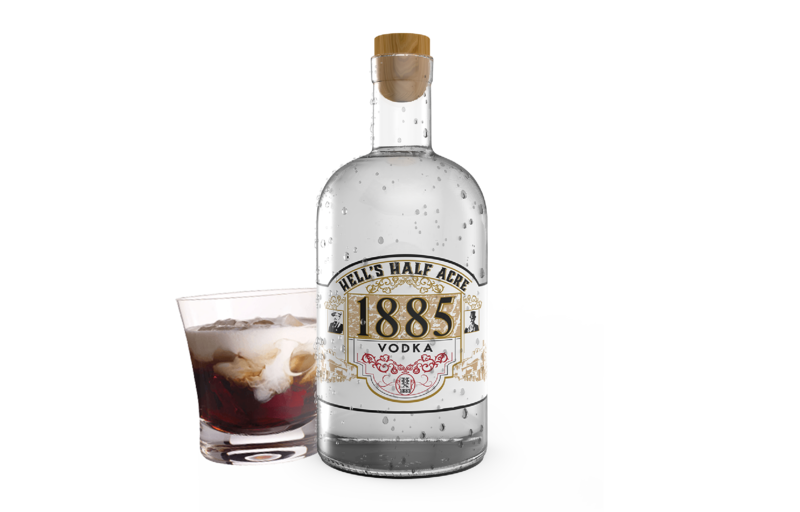 Pour Hell’s Half Acre Vodka & coffee liqueur over ice cubes in an old-fashioned glass. Fill with light cream and serve. Shake ingredients together and strian into your preferred glass. Place flowers at the bottom of a cocktail glass, and fill with ice. Shake Hell’s Half Acre Vodka, vermouth, and honey with several ice cubes in a shaker. 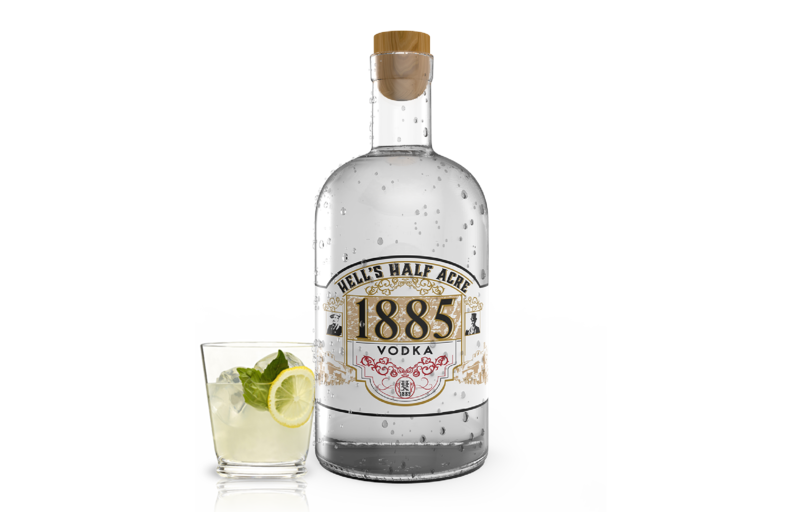 Add Hell’s Half Acre Vodka, lime juice, and triple sec into a mixer. Strain into a shot glass! 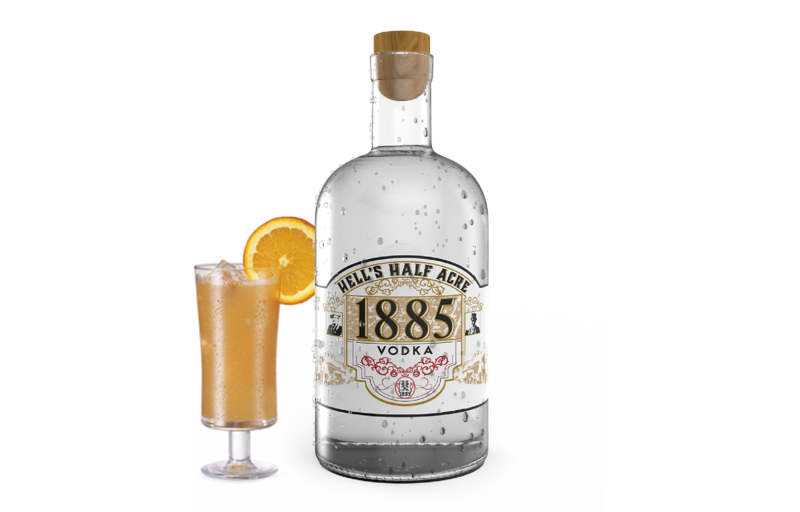 Add Hell’s Half Acre Vodka & orange juice to an ice-filled glass. Garnish with a fresh orange slice & enjoy! Mix together vodka, lime juice, triple sec, and simple syrup. Strain into a highball or martini glass for a single serving, or strain into two shot glasses.